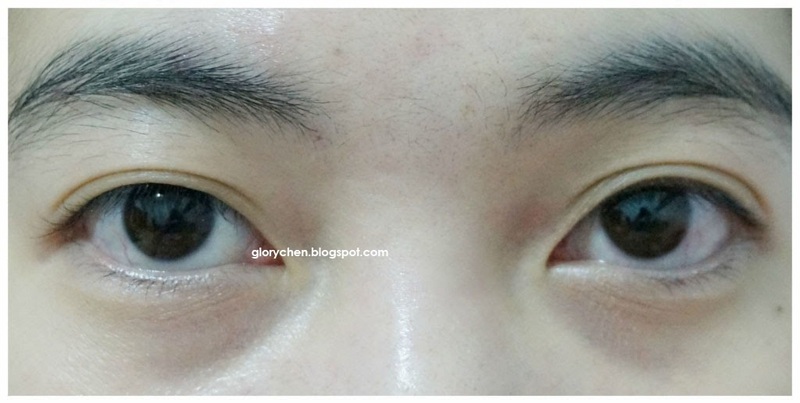 - Easily conceal facial defects, instant luster to the skin glow and stereoscopic magic pen. - Easy to carry, whenever and wherever possible close cover. As usual, KKCENTERHK always wraps my packages using thick buble wraps to make sure my packages will be shipped safely. This Insiti Cover & Hiding Stick Concealer comes in plastic and pen-like packaging with a black cap. The packaging is very light and comfortable to carry arround. It's also really easy to use, just twist the bottom of stick then the product itself comes out. Insiti Cover & Hiding Stick Concealer is available in three shades: #01 Pearl Skin, #02 Natural Skin, and #03 Healthy Skin. 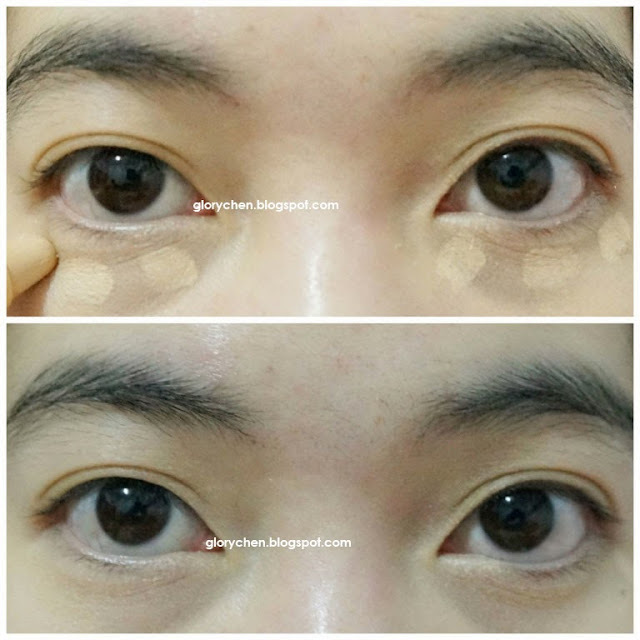 I choose type #03 coz this concealer claims to cover dark circles, wrinkles, fade dull tone, spots, acne, and blemishes in order to get healthy skin. Lately, I've been searching for a concealer that effectively conceals any imperfections on my face especially my under eye area and I found this concealer quite good. I've tried some concealer products to hide my dark circle problems and this is definitely one of my favourite concealers. It can be built up to medium coverage that I think it's more than enough if you just need a fresh and natural look to go outside. This concealer has a yellow tone that works well for dark circle under my eyes by neutralizing dark/blue-ish colour as they are opposite each other on the color diagram. I would say the texture of this concealer isn't too creamy but it isn't drying either. Its texture is really soft and very easy to blend! I find my previous concealer quite hard to blend but otherwise, this concealer's lightweight formula makes it easier to blend and I had no issues with creasing or even breakouts! ;) If you're sensitive to makeup products that contains fragrances or some perfumes, you might want to try this concealer since it doesn't have any floral scent or anything else. This matte finish concealer also has good staying power and lasts up to 4-5 hours. (Bare eyes) See that? My eyes looks more tired and darker in real life. I need to go to bed earlier and the most important thing, I need to consider buying my first eye cream. Haha. I prefer to dab concealer directly on under my eyes area then pat with my finger slowly until it blends perfectly. Altough I use this concealer to fade the dark circles, but I also did some trial using this concealer to cover spot, acne, and redness on my face. The result somewhat surprised me coz I just need a little amount of this concealer to hide any imperfections on my face. Take care not to apply too much concealer so it won't look cakey and fake. (Two layers). 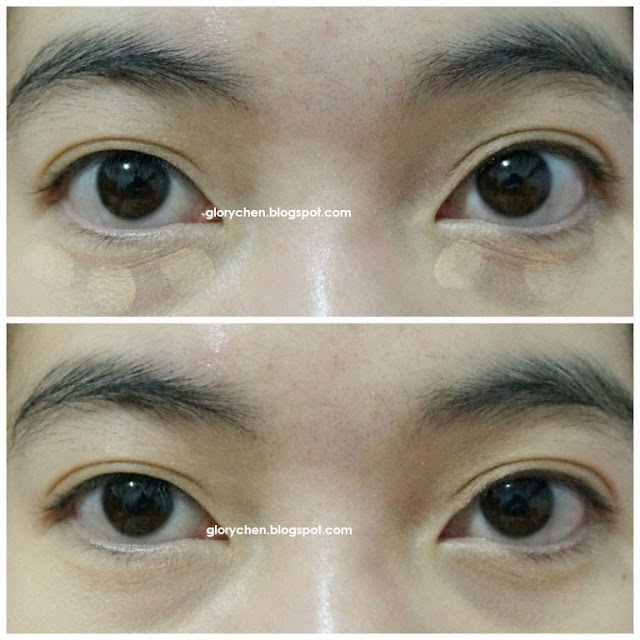 After applying 2 layers of concealer, can you see the difference? My eyes look brighter and healthier. The color is also match my skin tone and blend well. Absolutely yes! This concealer is one of my favourites now to get a healthy skin look instantly without being cakey. In this EOTD, I only used Etude CC cream, Revlon finishing powder, Insiti Concealer, and Collection lipgloss. Sorry if my picture is kinda blurry. >.< I will turn off the 'soften skin' option on my camera. lol. I got this from KKCENTERHK, you can also buy the product here. Please don't forget to check out their website to find many other makeup products. You can use my coupon code : glorychen to get 10% discount on any purchase at KKCENTERHK. Thank you for reading my blog & I hope this post will be helpful for you. 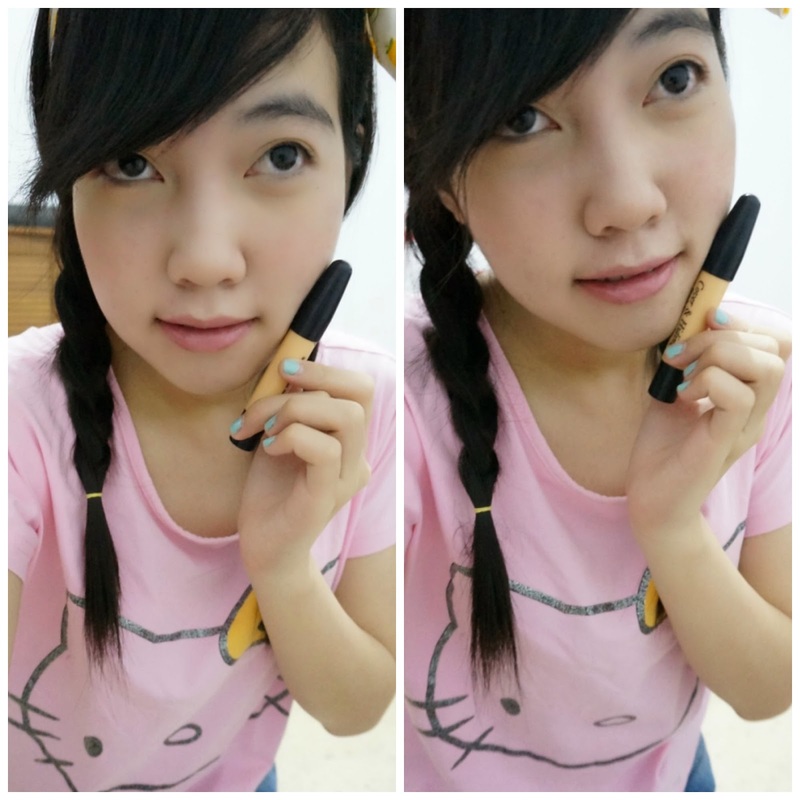 look alike with holika holika concealer..
my friend told me this is a lip concealer is that true? or the lipconcealer has the same packaging? Hi Cindy.. thanks for stopping by.. this is my first time using this concealer but Im pretty sure this is not lip concealer coz I read its description that this concealer was made to cover dark circle, acne, spot, and blemish. but sometimes i use my concealer as lip concealer too... lol..